Walmart will open a dozen Care Clinics in stores this year for customers and store associates. Walmart was the first to offer $4 generic drugs. Now, the nation’s largest retailer is making patient-care services like checkups and lab tests available to its employees and their families for the same low price as generics. Walmart will open a dozen Care Clinics in stores this year for customers and store associates, including two that open this week in Georgia and a third new clinic in Carrollton, South Carolina. Walmart Care Clinics are a pilot program that began in April in Texas. Each primary-care clinic is corporately owned, and staffed by licensed nurse practitioners who work under the supervision of a licensed physician. A customer or a Walmart crew member can be evaluated at the new walk-in clinics for cold and flu symptoms, chronic illnesses or preventive medicine. A visit costs $40 to a customer, and just $4 to a Walmart store employee with health insurance. Associates and customers can expect low prices on services beyond the office visit, such as vaccines and lab tests, which carry separate charges, according to Walmart spokesperson Danit Marquardt. Referrals to specialists, if needed. Care Clinics mark a departure from the health care Walmart’s offered in the past. The retailer already has about 100 basic basic-care clinics in stores nationwide under a leasing arrangement with local health care provider organizations, according to Marquardt. The local health systems and providers own and operate the clinics, which began in 2005. Drugstore chains CVS and Walgreens have offered similar primary care in their stores for years, however, Walmart has a history of rocking the boat and making the U.S. health care system adapt. Walmart in 2006 announced a $4 generic pharmacy program, and competitors CVS and Walgreens followed by creating their own low-cost generic program. The $4 Walmart co-pay reportedly saved consumers $3 billion on medications. Walmart’s new patient-care program comes at a time when the U.S. health care system is still undergoing a seismic shift, due to the expansion of Medicare and a federal mandate that individuals buy health insurance. “Smart move,” says Joe Paduda with Health Strategy Associates, a Madison, Connecticut-based consulting firm that specializes in managed care for workers’ compensation and group health. Clinic care can be delivered effectively and affordably because many primary care visits are for routine problems, according to Padua. These can be diagnosed easily and treated by nurses and other clinicians. By comparison, CVS was the first U.S. retailer to open health care centers in stores, according to spokesman Brent Burkhardt. Today, 860 “Minute Clinics” are open seven days per week inside selected stores in 29 states and the District of Columbia. The drugstore chain plans to open another 150 of its trademarked care centers this year and is pushing into Nebraska, New Mexico, Rhode Island and Wisconsin, according to the spokesman. “Minute Clinic does not look to become a patient’s primary care provider; instead they want to be part of the primary care/medical home team working in conjunction with the local primary care physicians,” Burkhardt says. Half of the patient visits to CVC clinics are during evenings, weekends and holidays. The clinic makes referrals to local primary physicians and agencies, too. Minute Clinics started in 2000 in the Minneapolis-St. Paul area, and the centers were known as QuickMedx. They treated seven common medical conditions: strep throat, mono, flu, pregnancy testing, and bladder, ear and sinus infections. Services were cash only, and offered a more affordable alternative to ERs and urgent care centers, according to the CVS web site. CVS reports that 80 percent of clinic visits are covered by insurance. 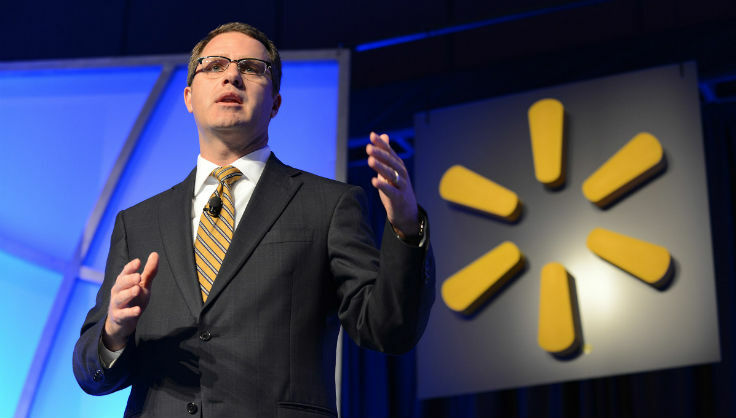 In contrast, Walmart’s Care Center pilot has identified communities where people are uninsured and at higher risk for chronic and debilitating diseases, according to Walmart spokesperson Marquardt. “As the largest private employer, and retailer, in the [United States], we have a unique opportunity to drive down healthcare costs for the more than 1.1 million associates and family members covered by Walmart healthcare plans nationwide,” Marquardt said. The Walmart Care Clinics are operating in Texas in Copperas Cove, Benbrook, Palestine and Carrollton; in South Carolina in Sumter, Florence and North Augusta; and starting today in Georgia in Columbia and Carrollton. All but one of the Texas stores in the health care pilot are based in cities with between 19,000 and 33,000 residents. The median household income in Palestine (population 18,964) is $35,800 – well below the Texas average of $50,740. There is a dual benefit to having on-site medical clinics in Texas Walmart stores, points out Steve Nichols, manager of workers’ compensation services with the Insurance Council of Texas, which is self-insured and a “nonsubscriber” to the state-run workers’ comp system, can use its Care Clinics when an employee reports being hurt on the job. Access to health care services remains a serious problem in the rural and outlying areas. A recent Fortune magazine article reported almost 20 percent of Americans live in areas without sufficient access to primary care doctors, according to the U.S. Health Resources and Services Administration. There are only 65 primary care doctors per 100,000 rural Americans vs. 105 doctors per 100,000 urban residents, according to the magazine. A Gallup Poll reported in April found that roughly 7.26 million Americans joined the ranks of the insured compared to 2013. The rate of uninsured Americans peaked at 18 percent in the third quarter of 2013, and fell to 12.9 percent by mid-April, pollsters found. Half of the newly insured bought coverage through an exchange under the Affordable Care Act. Joe Padua of Health Strategy Associates says the health-care system hasn’t been disrupted by the addition of 7 million Americans. Half of those found coverage through an exchange, the Gallup pollsters found. “There are anecdotal reports of delays in obtaining specialty care, but nothing concrete and certainly nothing that indicates a system-wide problem,” said Paduda, who analyzes data for health care management organizations and insurers. Primary care in a retail store is good for the patient, who can fill a prescription and get instructions about the medications before leaving the store. An evening or weekend visit to a WalMart Care Clinic or a CVS Minute Clinic can mean less strain on a hospital emergency room. Ask any employer dealing with new coverage mandates. Unnecessary trips to urgent care are a bitter pill to swallow when the next bill comes due for the company health plan.